I recently started to take exercising more seriously and don’t get me wrong, I’m no expert at all. Although that doesn’t mean I haven’t become aware of the perks of exercising whilst doing it, my body has been changing but not only that, my mental health. Whether it’s my shape, my skin or my mind, I’m finding that there are so many benefits from exercising and it’s encouraged me to do it more. It has so many benefits, most of which I never knew or understood for a long time. In fact, the thought of exercise used to give me major lazy-bones syndrome. 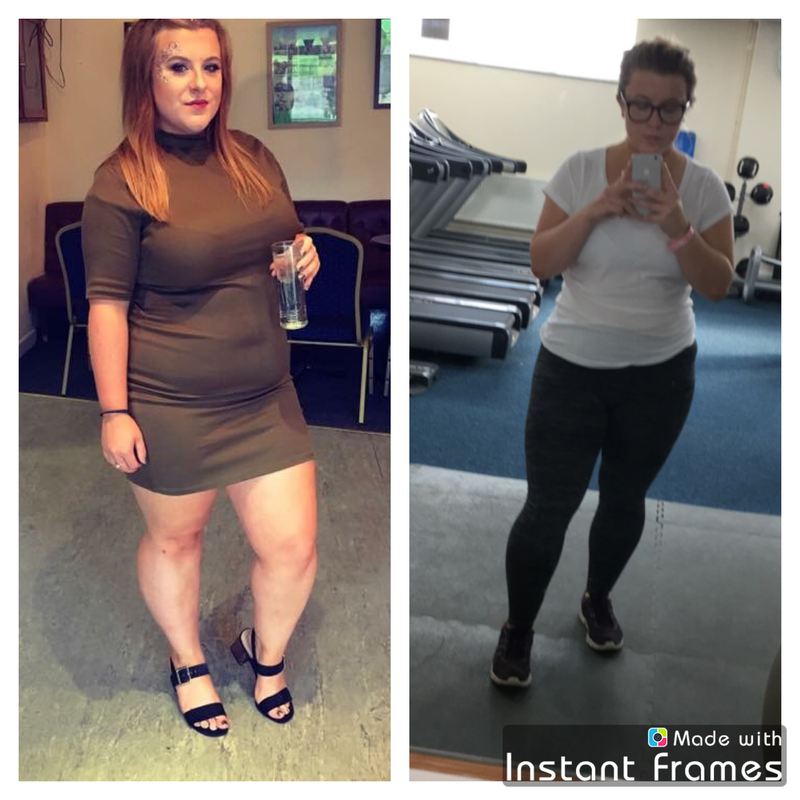 I hated everything to do with exercise for so long and when I eventually started taking my weight loss seriously I just knew that I wanted to increase my chances of loss and changing my body shape by adding exercise to my plan. Exercise is different for everybody and people change in accordance to their mind and body. These are the things I’ve noticed that have happened since I’ve started taking exercise more seriously but I would love for you to share with me your feelings on exercise! I used to exercise religiously, in fact it probably wasn’t at all healthy. However,after minimising the amount I exercise and finding a balance between what makes me happy, I have noticed the benefits that come from exercising. So, what benefits have I noticed from exercising? Continue reading to find out. 1. I do struggle with acne and I always have but I’ve found since exercising my skin has become so much more clear. Perhaps this is the amount of water I’m now drinking, the healthy balanced diet and exercise combined. Whatever it is, it’s working and I’m very happy! 2. Exercise boosts your endophines, meaning that you’ll become less stressed, anxious, angry and confused. 3. You’ll feel more confident seeing changes to your body. You’ll try on your old clothes and start feeling more yourself again enjoy the skin you’re in. 4. Eating healthy and exercising can decrease your chances of being unwell and having to fight those nasty winter colds. As well as improving your blood pressure. 5. Your balance will improve along with your flexibility! I really encourage yoga for balance and flexibility, it’s a great workout and I’ve found my body has become more flexible in just the few months that I’ve been practicing. 6. Improves your sleeping pattern. I sleep so much better than ever! Getting between 8-10 hours a night. 7. You will have picked up a new hobby so instead of spending your time doing nothing whilst sat at home, head out and exercise. It passes the time away and makes you feel good. 8. It’s mentally stimulating which helps productivity throughout the day. For me, if I’ve got an essay to write or reading to do I’ll always start my day off with a workout to aid my energy levels. 9. Your lung capacity will improve and you’ll find yourself with better stamina. At the beginning I noticed this change and you will too, eventually you’ll be doing certain exercises like jogging better with your ability to control your breathing through the session. 10. Exercise gives you a better outlook on life, it helps with your mental health drastically and can seriously reduce depression and anxiety. Along with that you can decrease your chances of having diabetes, heart problems as well as a strokes by up to 50%. Before my masters degree I wasn’t ever keen on exercising, I didn’t know what I was doing and I couldn’t control my breathing correctly. With time you’ll adjust and you’ll learn how to successfully control your breathing, for me, yoga did this. I practiced yoga before starting the gym and it really helped me to learn how to control my breathing when in poses and sessions that are hard. Don’t get me wrong, I do struggle to find the time for it as I’ve gotten busier these past few weeks, but that doesn’t mean I still don’t like to exercise. In fact, I enjoy it more! Yes! I love working out it has so many great benefits.